VOTE NOW FOR NDLOVU IN KZN SPORTS AWARDS! 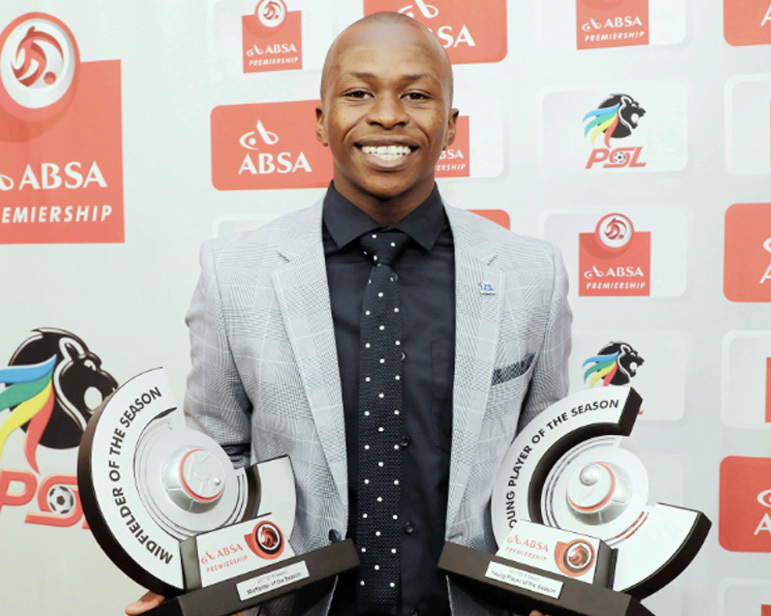 Maritzburg United's rapidly rising star midfielder Siphesihle Ndlovu has been nominated as Sportsman of the Year in the prestigious KZN Sports Awards. The sixth KZN Sport Awards are set to honour the Province's finest athletes at a glittering ceremony at the Inkosi Albert Luthuli International Convention Centre on September 25. The Ashdown-born Ndlovu has been a prime example of Maritzburg United's desire to invest in locally developed talent and he has risen all the way through the ranks at the club. Ndlovu was instrumental last season in the Team of Choice's fourth place finish in the Absa Premiership and their thrilling run to the Nedbank Cup final. He has been shortlisted by the panel of judges alongside Comrades winner Bongumusa Mthembu and Triathlete Henri Schoeman in the Sportsman of the Year category (for the period August 1, 2017 to July 31, 2018). Together with Proteas cricketer Keshav Maharaj, Ndlovu, Mthembu and Schoeman are also up for the Sport Personality of the Year award. The Sport Personality of the Year is an accolade voted for by the public via SMS. Voting lines are open - VOTE NOW FOR SIPHESIHLE! SMS KZNSPORT2018SN to 33258! At times unstoppable when in full flight last season, Ndlovu went on to net five times in the Absa Premiership. Still only 21-years-old, he became the first-ever player from Maritzburg United to win the Absa Premiership Player of the Month (January 2018) award.